More Than Roofing is locally owned and operated here in Harrison County Mississippi and our headquarters is in Gulfport Mississippi. The More Than Roofing well trained Gulfport MS roof repair professionals will always install your roof perfectly the first time and on time. We will not rest until you are one hundred percent satisfied with the work we do. More Than Roofing is a highly competent full service residential and commercial roofing company that is 100% dedicated to always providing you with the highest standard of both service and workmanship. Serving Hancock County Mississippi, and located in Gulfport, Mississippi we are a well established Gulfport Mississippi roofing contractor, which for many years has provided lvery durable materials installed by our team of highly skilled workers. More Than Roofer provides a complete spectrum of residential and commercial roofing services and products for all budgets. Regardless if you to have a small leak repaired, or a brand new roof installed, let More Than Roofing provide for it with our commitment to incomparable customer service, superb quality workmanship and attention to detail. More Than Roofing will always protect your landscaping with tarp covers to catch any and all debris that could fall off the roof and we also provide complete clean up after we complete every job. Each and everyone of our customers can rest easy knowing we are fully insured, and we carry both Roofers Workman’s Compensation and Construction Workman’s Compensation for any roof repair. Whether you need of a brand new roof, re-roofing or fixing an existing roof, the selection of the right roofing contractor that will fit your budget and your needs is a vital choice. At More Than Roofing we know how stressful choosing a competent roofing contractor can be and we also understand that there are many qualified roofing companies for you to choose from. All of More Than Roofing professionally trained personnel are fully trained and certified and have a great many successful years of experience in the field. We specialize in residential and commercial roofing. Being current with the latest and materials is very important to us and we promise that you get the best workmanship possible utilizing the most up to date materials. State of the art roofing products we work with include Owens – Corning and GAF plus many, many others. At More Than Roofing we have helped hundreds of local home and business property owners obtain the roof they needed, when they needed it and at a price they could afford. And, More Than Roofing is confident we will be able to help you. Give us a call even if you believe your roofing job will be more expensive than what your budget provides for. It is quite possible that you will be surprised. 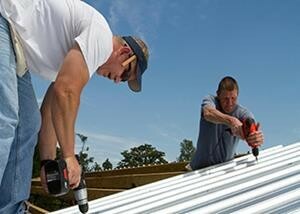 In Harrison County, MS, More Than Roofing service areas include Gulfport, Biloxi, D’Iberville, DeLisle, Long Beach, Lyman, Pass Christian, and Saucier Mississippi. More Than Roofing also services the unincorporated communities within our primary Harrision County Roofing repair service area.